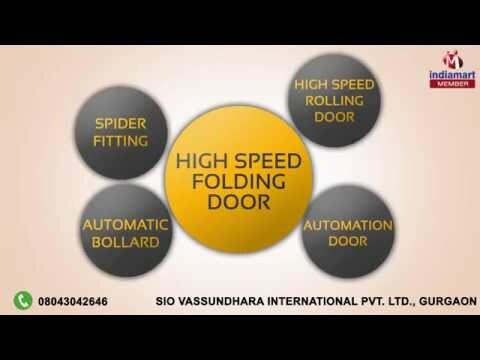 Welcome to Sio Vassundhara International Private Limited, established in the year 2000, we are the most prominent trader and supplier of Automation Door, Boom Barrier, Automatic Bollard, Partition System, Glass System, Door Hardware, Floor Spring And Fitting, etc. Offered products are recommended by experts of the industry and customers due to their perfect finishing, smooth functioning, technically advancement, superior quality, availability in various specifications, market leading prices, high durability, compact design and many more things. Our company has become right choice of the customers due to the support of our dedicated team of professionals. We are able to fulfill their desires and deliver products on time by maintaining higher quality standards in them. Customers are the first and foremost preference of our company and we take care of them at every situation. Total client satisfaction is the main motive of our company and we have earned their trust of our patrons through our client centric approach.